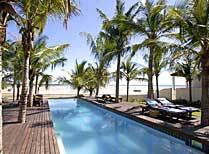 8 days from £1623pp plus international flights. This unique island hopping tour is one of the best ways to explore the beautiful Quirimbas Archipelago in Northern Mozambique, and particularly Ibo Island. Your adventure begins with a scenic light aircraft flight over the turquoise ocean and tropical islands, landing on Ibo Island where you are welcomed to Ibo Island Lodge and can take things easy as you recline on the rooftop terrace overlooking the Indian Ocean. Spend the next week exploring a handful of the 32 islands make up the Quirimbas archipelago. Your dhow awaits with its experienced crew. Dhow travel has a long established history in this area and is the only way to travel between the islands. Sit back and enjoy the cruise, the crystal clear waters and beautiful island scenery. 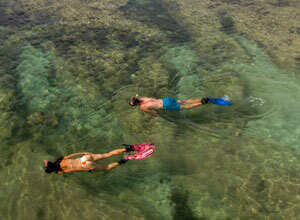 During your cruise you will have plenty of opportunities to swim and snorkel. These waters have some fabulous coral reefs, and you may also see dolphins, turtles and myriads of fish. This region is also rich in bird life, storks, egrets and heron abound. Discover idyllic island beaches and mangrove forests. You'll meet local fishermen and see rural fishing villages on the various islands in the archipelago. 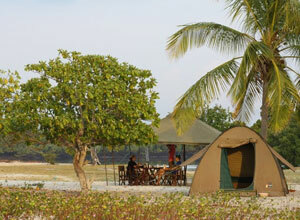 You spend four nights in private island beach camps. These are fully serviced camps - the crew will handle all camp duties leaving you free to relax and enjoy the peace of each special location. All camping and catering equipment is included. Although the facilities will be limited, all camps will offer hot showers. Enjoy delicious meals, freshly cooked over the open fire under the stars. On conclusion of the cruise you return to Ibo Island where you have two further nights at Ibo Island Lodge with its rooftop restaurant and great views. Ibo was once an important trading centre with 16th century forts and ruins to explore. Your guides will give you chance to meet local people and observe their unique island culture and way of life that has remained unchanged for hundreds of years. NB This itinerary is entirely dependent on winds and weather conditions and in some instances it may be necessary to change the planned itinerary, to travel in the reverse direction (south to north) and with visits to islands other than those specified here. Arrive at Pemba airport where you are met and taken to the light aircraft for the flight to Ibo Island. Sit back and enjoy the views. 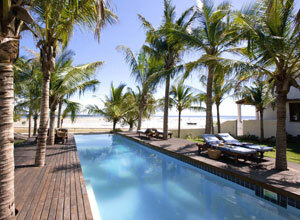 On arrival you are transferred to Ibo Island Lodge for your first night stay. You have time to explore the lodge facilities and choose a place on one of the verandas to unwind as you take in the views. Relax, your holiday has begun. Don't feel you need to explore, as you return here for a couple of days at the end of the cruise. Lunch, dinner. 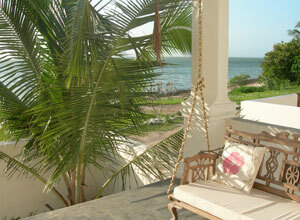 A second day on lovely Ibo Island. You could take a guided nature and bird watching tour, snorkel at a shipwreck site, spend the day on a perfect sandbank beach or hire and bike and explore at your own pace. make the most of the facilities of the lodge, too, treating yourself to an indulgent massage, dining on fresh lobster on the rooftop terrace and strolling in the pretty gardens. All these and more can be arranged at the lodge, to be paid for locally. Breakfast, lunch & dinner. Savour breakfast by the ocean, before packing your bags for the light aircraft flight back to Pemba, where this holiday ends. Breakfast. Price notes: This is a 2019 guide price. £1623 07 Jan – 31 July 2019 and 01 Sept - 10 Dec 2019.
International flights; departure taxes; visas; travel insurance; meals not specified; drinks; optional activities; items of a personal nature; tips. 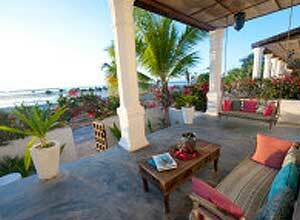 This holiday starts and ends in Pemba. International flights from the UK start from around £1,300, depending on season and availability. We will be happy to book your flights for you. Departure dates: You can either join a scheduled departure (dates shown), or take this as a private tailor made trip which we can plan for you at a time that suits you. 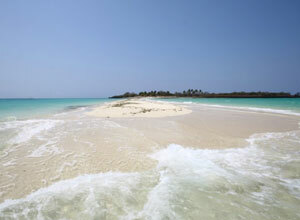 A string of islands and natural reserves in Northern Mozambique offering a unique region of remote islands, small villages and historical insight to the Indian Ocean coast. 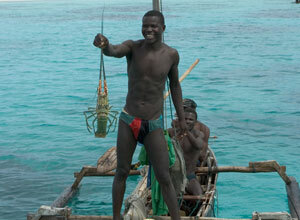 Ibo is a great place to immerse yourself in the local history and culture of this remote Mozambique island.